Rudi Kloeckner is a seasoned Electrical Design Engineer and Project Manager and has more than 30 years of experience designing, project managing and commissioning of electrical power systems in Germany and across Europe, with strong emphasis in renewable energy systems and power plants. Rudi has both electrical trade qualification as well as a diploma degree in electrical engineering. His extensive experience with renewable energy in both, on-grid and off-grid systems (Solar PV and hybrid) covers a wide spectrum of activities ranging from scientific research and systems analysis through to economic project design and implementation. Furthermore he completed several industry studies and market evaluations. 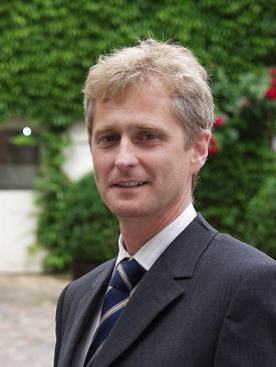 Over the past 12 years, Rudi worked with BP Solar Germany in the roles of Senior Project Manager, and more recently as the Team Advisor providing guidance and support to projects management, systems engineering as well as technical and commercial due diligence for projects in the EU and Aus-Asia. Rudi has been responsible for the design and realization of many multi-MW solar PV installations, both large scale rooftop and utility scale free-field projects.